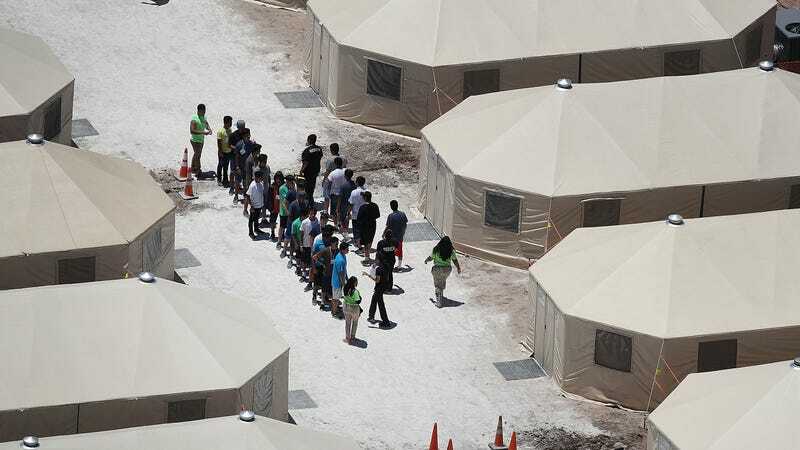 Migrant children who flee hundreds of miles, hoping to find asylum in the United States, are reportedly being used by the Trump administration as informants to identify and deport their parents and relatives. In a letter sent on Wednesday to Department of Homeland Security Secretary Kirstjen Nielsen and Health and Human Services Secretary Alex Azar, 112 civil liberties, immigrant rights, and youth welfare groups decried the “recently formalized practice of using information obtained from detained immigrant children to find, arrest, and try to deport their parents and relatives” as not just unethical, but illegal. When these children are detained, one of the first questions that Customs and Border Protection and the Office of Refugee Resettlement ask them is whether they have family or friends in the U.S. that might be able to take care of them. As one of the individuals who conducted these interviews has explained, many of these children understand that when they identify their parents or relatives, they put those people at risk for deportation. This guilt affects the children. Despite this, thousands of kids give up this information: they are desperate to be reunited with their families. Even worse, some of the children are misled into believing that no harm will come to their relatives as a result of being identified. A teenager from Guatemala arrived alone at the Arizona border. He told ORR officials to contact his brother, a husband and father of two young children, who was living in New Mexico. ORR officials asked his brother for a range of information, assuring him that it would not be used against him. Soon after the teen arrived in the home, ICE came and arrested his brother. The teen now holds himself responsible for his brother’s arrest. According to the AP, at least 41 people have been arrested for deportation based on this data-sharing practice. Civil liberties and immigration groups claim that what these agencies are doing is illegal since they are required to “promptly release unaccompanied children, without delay, into the least restrictive setting.” Over the past year, the average detainment in government-run shelters for immigrant children has risen by 44 percent to 59 days.